Mason County is fortunate to have government officials that are approachable, understanding and committed. Collaboration between the local government agencies and business owners creates a business-friendly environment, supporting growth and prosperity. 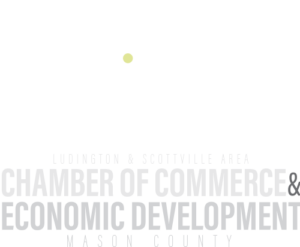 In addition, the Chamber works in collaboration with Mason County Growth Alliance to ensure business owners get the support that is needed. Please contact MCGA at 231- 845-6646, or visit their website at www.masoncountygrowth.com. The Building Department is responsible for all permits and inspections. The Clerk maintains assumed business names and partnership certificates. The office of the Register of Deeds serves as a repository for all official records relating to real property (land) located in the county. The Mason County Planning and Zoning Department is responsible for administration and enforcement of the Mason County Zoning Ordinance in the following Townships: Amber, Branch, Eden, Riverton, Summit, Sheridan, Sherman, Freesoil, Meade, Victory, Custer, and Logan. The department provides assistance and technical support to the Planning Commission and Zoning Board of Appeals. The Department also assists the Planning Commission with revising and implementing the Mason County Master Plan. The City can assist business owners or potential business owners with property records, building permits, zoning issues, variances or permits, and signage permits. 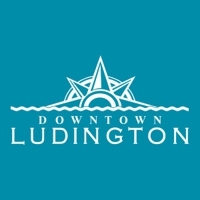 The City of Ludington also actively participates in Tax Abatement programs such as the Obsolete Property Rehabilitation Program and are a partner in the Mason County Brownfield Program. When looking at issues for your new business regarding infrastructure needs, allowable uses, and other property type issues, please contact the City prior to beginning any of these projects. The DLB has several programs and opportunities available to business and property owners in the Downtown Development District. Programs available for building renovations include the façade program for exterior improvements and the Rental Rehabilitation programs for renovations to apartment units. The LACVB provides tourism leadership in Mason County by generating increased visitor stays through effective marketing, collaborative partnerships, and a quality visitor experience.